A niche course is a specialised course that focuses on a particular area of operation or a sector. The curriculum exclusively and exhaustively focuses on a specific or rising field of business while incorporating the basic topics of general MBA, writes Biju G Pillai, Director-IT, Sri Balaji Society. 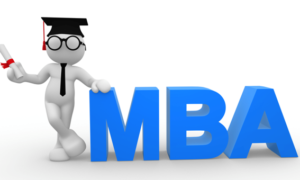 There is no doubt that MBA is one of the most popular postgraduate programmes in India. Lakhs of MBA aspirants enrol in this programme every year, with a hope to land a dream job and fast-track their career. Unfortunately, the number of MBA students that pass out every year surpass the number of jobs that exist. It is a clear-cut case of demand-supply gap. Also Read: Is MBA still a sought after course? So, the pertinent question is how MBA students can gain a competitive edge in the job market? The answer lies in finding a niche. Traditionally, most MBA institutes offer specialisations in finance, marketing, human resources, IT and operations. 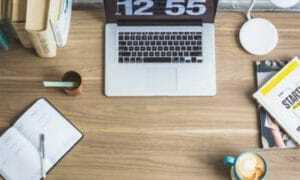 While these courses are still very much relevant even today, the inclination of both students as well as employers has begun to tilt towards niche courses. The examples of some of the niche courses are rural management, real estate, energy and environment and disaster management. Another sought-after niche course is telecom management. It is emerging as a differentiator in the MBA specialisations. The Indian telecom sector is the second largest in the world. 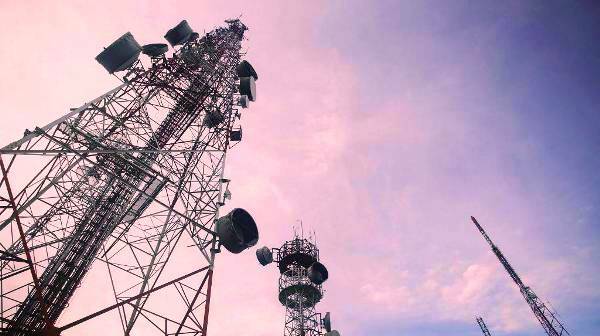 Owing to the growing subscriber base, conducive business environment and fair regulatory framework, the telecom sector has witnessed a phenomenal growth in last few years. In fact, it is estimated that this sector would become USD 26.38 billion market by 2020 and add more than 10 million jobs in the next five years. This is a clear indication that the demand for skilled resources will continue to soar. The industry would need specialised telecom managers who understand the telecom sector in and out, possess technical as well as soft-skill sets and apply the MBA learning on the ground reality with sharp business acumen. Also Read: What India needs: MBA or M Tech? So, there is no doubt that MBA in telecom management is emerging as a shining star in the niche courses. This course provides students with a comprehensive understanding of the telecom sector with core concepts of MBA ingrained as the foundation. Essentially, it will focus on developing the techno-managerial skill of students. MBA in telecom management is a two-year programme. The course curriculum comprises telecom and information technologies, fintech, analytics, Internet of Things (IoT), digital marketing, mobile applications, cyber security, service marketing management, communication systems operations, and related fields. Since telecom technology evolves continuously, the curriculum is also updated regularly to keep pace with the changing needs of the sector. Hence, the course always stays relevant to meet the industry demands. There are varied and several career opportunities across different verticals in the telecom sector after completing MBA in this field. The leading public and private telecom companies, internet service providers, value-added service providers, satellite and cable networks, optical fibre manufacturers and mobile device manufacturers are hiring MBAs in telecom management to manage their operations and technologies. These days, several start-ups have also emerged in the telecom space to provide disruptive and innovative solutions. India being the third largest ecosystem in India offers numerous career opportunities the telecom sector too. 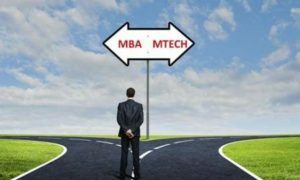 So, students who want to build a telecom career in start-ups can also consider MBA in this field. Telecom management students can become professionals in domains such as product development and management, sales and distribution, telecom regulation, network designing, mobile applications development, pricing, broadband connections, infrastructure hardware manufacturing, internet services providers, international voice trading and many more. Since telecom technologies remain the same across the world, there are also bright career prospects in the international arena. The global exposure in this field can be a useful addition to a telecom management professional’s resume. Freshers can get a good start in the telecom industry and gradually rise up the career ladder based on their experience and knowledge. The experienced professionals can establish their foothold in the leadership roles. It is highly recommended that telecom management professionals continuously update their technical skills through refresher courses even after completing MBA to stay abreast with the latest developments in the industry. The primary eligibility for pursuing MBA in telecom management is graduation from any recognised university or institution of national importance with a minimum of 50 percent marks or equivalent grade. Students who have completed graduation in engineering in IT, computers or electronic should especially consider MBA in telecom management to boost their career. Telecom management students can expect packages up to Rs7-9 lakhs per annum. As the experience level rises, the salaries can go up to Rs 10 lakh. The professionals with 10 or more years of experience can get Rs 20-30 lakh package. The pay scale can vary from one organisation to another. If the professional is working in a multinational or off-shore company, then the pay package can go even higher. The Indian telecom sector has a huge potential for growth. With the increase in demand for existing and new technologies, skilling will play a crucial role for telecom companies to remain competitive in the market. They would be looking for candidates who can bring an amalgamation of technical, managerial and soft skills on board. Hence, the telecom industry is likely to increase their hiring in the coming years. There couldn’t be a more fruitful time than now for students to enrol in MBA in telecom management course.